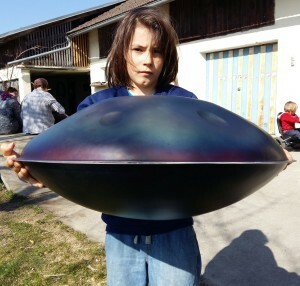 Since i am Austrian, I am really happy about, that there is now a Handpan maker in Austria. He names his beautiful Handpans DEEPAN (www.deepan.at). And i am more then just happy about, that Daniel and all his family are already more than just friends to me. Our realtion feels like being one family, and thats just great ! Daniel started around 3 years ago to make Handpans. He started totally from scratch to make handpans. 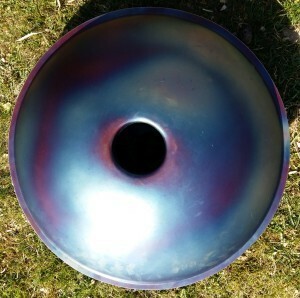 When he started, he had never ever a Handpan in his hands. 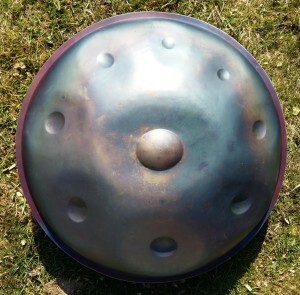 All his Handpan-passion and also the information about Handpans was just based on videos he found in the Internet. Since some months now, Daniel is experienced enough, to make really great Handpans. Due to Daniels high demands regarding to quality, he calls the Handpans he makes right now as Prototyps (personal note: i know many handpans, not declared as prototypes, that are much poorer than Daniels protyps). Like all makers i know, also Daniel invested all his energy, all his passion and also all his money for the DEEPAN project. 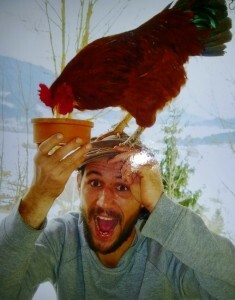 I wish for Daniel and his family, that now there will be the point of return. The quality of his the DEEPAN Handpans is just great and so i am sure about, that soon, there will be many beautiful DEEPANS out there ! DEEPAN #3 PROTOTYPE (for sale right now – click here to see the offer !) UPADATE : sorry, its already SOLD !